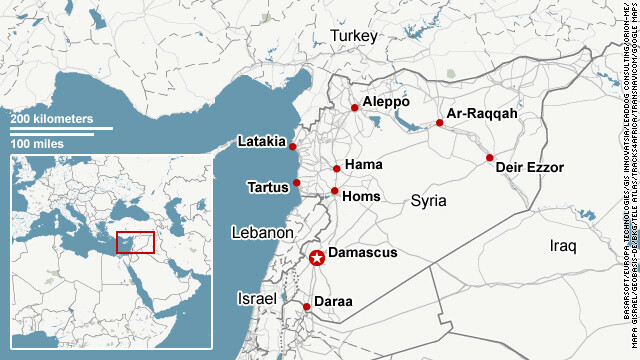 (CNN) — Intense blasts that echoed through the Syrian city of Homs on Monday were just a part of the latest violence ravaging parts of the country, as world leaders sought a new strategy to end the deadly fighting. At least 56 deaths were reported Monday by an opposition group, most of them in Homs, two days after China and Russia vetoed a U.N. Security Council draft resolution that would have demanded President Bashar al-Assad stop the violence and seek a solution to the 11-month crisis. “They chose to side with the Syrian regime and implicitly to leave the door open to further abuses,” British Foreign Secretary William Hague told the House of Commons on Monday. Both countries insisted they want the violence to end and want to see dialogue among Syria’s opposition factions. 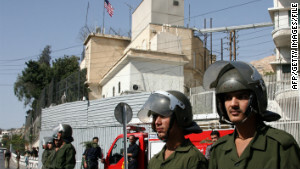 The United States closed its embassy in Syria and pulled out remaining staff after the Syrian government refused to address its security concerns, the State Department said. Hague said his country called its ambassador home for consultations. And he demanded that Syria protect the British Embassy in Damascus. Britain also called Syria’s ambassador for a meeting at the foreign office. Opposition activists in Syria said the Syrian regime stepped up its brutal crackdown after the Security Council failed to pass the resolution, leaving hundreds dead over the weekend. Four children were among the dead Monday, the opposition Local Coordination Committees said. 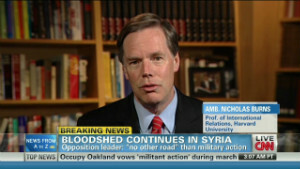 The death toll includes 37 in Homs, 10 in Damascus suburbs, one in Damascus, two in Aleppo and six in Idlib. Danny said the devastation Sunday included a girl who lost an eye to gunfire and a boy with his jaw shot away. Many of the injured were being treated in field hospitals in civilian homes, including some who died from wounds that would not have been fatal with proper care. “We haven’t got enough doctors. We haven’t got enough medication,” he said. Syrian state-run TV said “armed terrorist groups” were attacking citizens and members of law enforcement in several cities. Two children were killed by an explosive device planted by a terrorist group in al Bukamal, SANA reported. In Daraa, the city’s chief warrant officer and a conscript “were martyred by an armed group’s gunfire,” SANA said. And in Jboren village west of Homs, “an armed terrorist group today massacred” a family of eight with “bullets and sharp knives,” SANA reported. China does not accept the accusation. We are not selfish in our decision. A “terrorist group” also targeted a gas pipeline in Homs late Sunday, “blowing it up with an explosive device, causing gas to leak in the area,” SANA reported. “The terrorists also shelled with mortars several neighborhoods of Homs. They also set off an explosive device in al-Khalidiye neighborhood that caused no injuries or casualties,” one SANA report said. U.N. Secretary-General Ban Ki-moon’s office issued a statement saying he “is appalled” by the violence. “The lack of agreement in the Security Council gives no license to the Syrian authorities to step up attacks on the Syrian population. No government can commit such acts against its people without its legitimacy being eroded,” he said. Arab League Secretary-General Nabil Elaraby condemned Syria’s heavy bombardment in some areas that led to scores of deaths. “We are following the developments anxiously and extremely disturbed about the situation on the ground in Syria, especially in Homs and the suburbs of Damascus, in the escalation of the military operation and the usage of heavy artillery against the civilians,” Elaraby said in a statement. He called it “an obvious breach” of international humanitarian law and Arab League human rights commitments, according to the statement. 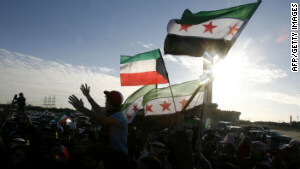 Protesters and rebel fighters are demanding an end to al-Assad’s rule and true democratic elections. Al-Assad has been in power since 2000; his father, Hafez, ruled Syria for three decades. United Nations officials have said an estimated 6,000 people have died since protests began nearly a year ago. The LCC said at least 7,339 people have been killed. CNN cannot independently confirm opposition or government reports from Syria because the government has restricted journalists’ access to the country. 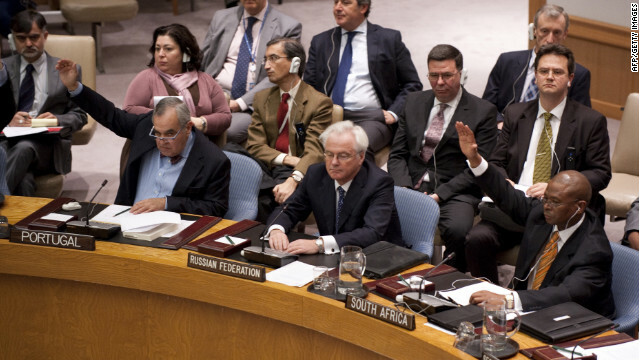 Several of the 13 Security Council members who voted in favor of the draft resolution said they were furious at Russia and China for their dual veto. U.S. Ambassador Susan Rice said Russia and China “will have any future blood spill on their hands,” while French Ambassador Gerard Araud said Beijing and Moscow have aligned themselves with a regime that is massacring its people. The Russian and Chinese ambassadors said they support an end to the violence, but did not agree with the text of the resolution, which they said would have complicated the issue and sent conflicting signals. The two countries — which have major trade deals with Syria — have said they support a dialogue among factions in Syria. On Monday, China’s Ministry of Foreign Affairs rejected criticism of the country’s veto. Russian Foreign Minister Sergey Lavrov is scheduled to visit Damascus on Tuesday to meet with al-Assad, U.N. Russian Ambassador Vitaly Churkin said. Elaraby insisted Sunday that the Arab League and international community will continue to seek a resolution, according to an Arab League official who could not be named because he is not authorized to speak to the media. “The Arab League aims to avoid military intervention in Syria and continues to probe for an Arab solution to the Syrian crisis,” Elaraby said, according to the official. But residents on the ground say so far, the international community has abandoned Syrians and left many to die at the hands of the regime.